I have to say, I really enjoyed the book, Farm City: The Education of an Urban Farmer. I started reading it earlier this year and it's one of the reasons I decided to start working on a book of my own. 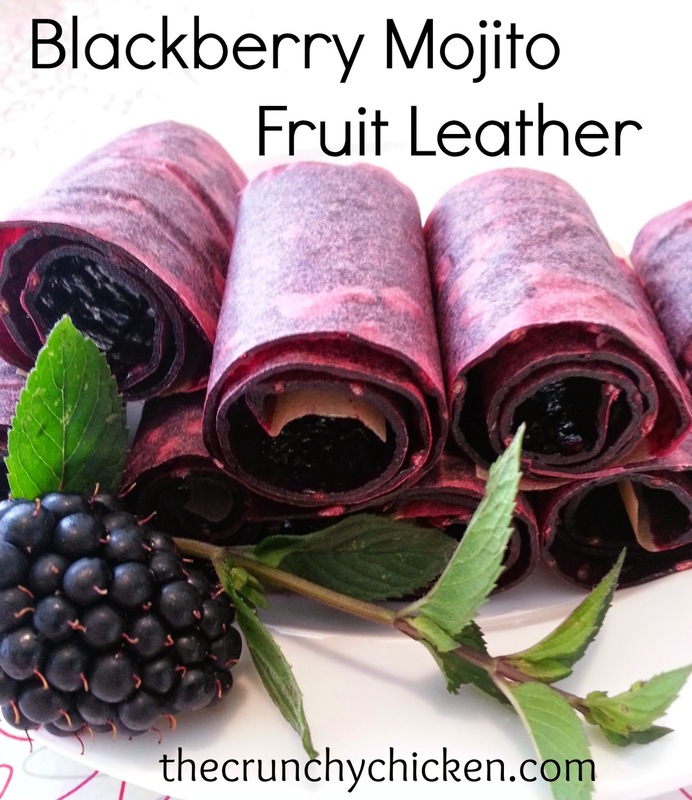 In any case, here's a quickie review and giveaway. This book, written by Novella Carpenter, follows her and her boyfriend's adventures of growing a huge garden and raising animals in the ghetto of Oakland, CA. Everything from bees to turkeys to full grown hogs. In the meantime, you get to meet and know the colorful characters that make up her neighborhood as well as the poverty surrounding her. The author shows that, regardless of whether or not you have money, space or even your own place, you can have a full-on farm. She also goes into great detail with the issues she had with killing her own animals for meat and how she went about doing it, which I found to be rather interesting. If you are interested in winning a hardcover copy of this book, just add your name to the comments of this post and tell me if you live in the city, the country or the suburbs and whether or not you grow your own food or raise your own farm critters. Entries are due by midnight PST Friday, 10/22/10, to be eligible for the random drawing. Oakland is just a few hours from my house but I live in the burbs. We just moved to an acre. In the past only fruit and veggies but are hoping to expand to chickens if the neighbors don't complain. Love this book! Would love to havea copy to read again and again and loan to friends. I've been wanting to read this book. It would be great to win a copy. I live in the 'burbs. I grow a few herbs and strawberries, and I'm working on gettin bees. We really would love a couple of chickens, but the HOA forbids it and we have very nosy neighbors. Suburbanite, here. I have an acre lot, in a sea of .25 to .5 acre lots. It's a "legacy" yard, and there are pictures, somewhere, of the giant Victory gardens that used to grow here. Now I am returning the sea of grass to food production, one bed at a time. I don't have food animals yet, but I'm getting there. I want chickens! I live in the city, on the edge of Boston in Brookline, MA. Though we don't have a yard as we live in a condo, we have three growing spaces - a community garden plot, a shared backyard garden with friends, and a gift garden that we grow with some volunteers for passersby to help themselves. We grow enough to supply our produce needs for about 5 months and are able to put up some for the other seasons. 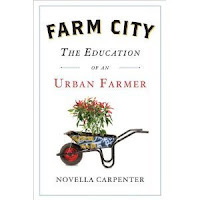 I loved the book Farm City and got to see Novella Carpenter talk about it at a reading in Boston. She was terrific! I live in the city - and we have several areas in our yard where I attempt to grow some of our own food. No animals though. Right now I am in city, Ann Arbor, MI (not a giant, high-rise type city, though, so that's nice). We're a bit on the outer area now, but looking to buy a house and move closer to downtown. I'm excited about being able to grow more food, but not sure about the critters. We can have chickens here, but I don't think I am home enough to take care of them. I live in the city, but have a place in the country I'm starting to work on. Mostly bush and swamp right now, but it'll be something someday and this is exactly what I'm trying to convince my wife we need to do with it!! It'd make for some mighty nice reading over the winter and getting ready for spring! I live 20 miles outside Cincinnati-not exactly city, but not country either. We have 5 acres and grow a lot of our own veggies. We are in the process of planning our orchard (we are thinking about doing a u-pick) and also just planted over 70 berry bushes. We have a couple of bee hives and chickens for eggs only. I live in a city, but thankfully on in an old farm house so we have a garden. This was my first year gardening and I keep wondering if I could get some chickens, I rent though so I would have to talk to the landlord about that. We live just outside city limits, but it feels very rural and we have chickens and a big garden on our 8 acres. Live in the city - had a little bitty garden this year with moderate success and am hoping to grow it bit by bit, year by year. Live in a small town. Very small town. Work in a small uni town in the next county. Pass by tons of corn, cattle and buffalo daily. I only have a few tomato plants and a very lazy dog. I'd love a copy - sounds like a great read! We have a 6 acre "spread" where we support outselves in the summer by raising pastured poultry and selling eggs. We also currently raise bees and sheep, but as vegetarians for envirpnmental reasons, don't eat any of the critters around here, though plenty of the hens get sold to people who will put them on their dinner table, and we're fine with that. We currently live in the city. East side Washington State. I love this book, and I'd love a copy of it. I'd like to see the book that inspired you, Chrunchh. I live in a very rural county (Bath) in Virginia. Even though we only have 4k people in the county (including cows & sheep), they have moved to restrict our ability to feed ourselves. Would you believe that originally, gardens were illegal?? Anyway, we have a huge garden and 8 laying hens... illegally and, as long as no one complains, will continue to have fresh eggs. I'd love to have more critters and will gradually ease them into the picture. I would love to win the book. I live on 1/3 of an acre in the suburbs. I raise 5 hens for eggs and grow some of my own produce. I have enjoyed my CSA for the past two years and then my dad has a huge garden also. Live on the BC coast. Lot size...about a third of an acre. Have 5 apple trees, one pear,a quince tree, blueberries, raspberries strawberries, kiwi, grapes, rhubarb, perennial flowers and of course vegetables wherever I can fit them in. Oh and no "soil" so spend a lot of time and energy trying to create the damn stuff. I live in the suburbs and have a small vegetable garden in addition to some fruit trees, blackberries, raspberries, and blueberries. I've recently become totally convinced I want my own chickens after going back and forth. I plan to get them in the spring. I live in a rural area. However, I live in a one bedroom apartment. I am not allowed to set anything on windowsills, or on my porch. I tried a window garden but it didn't get enough sun, so I have an Aerogarden that I grow greens in. I live on a farm on the edge of the beautiful Sandhills of Nebraska. I use it to the hilt! Huge garden, chickens, cows, pigs, etc. Implementing small farms in the city...why not??? Love that idea! It's not that hard to have a small garden and a few chickens. The amount of food (good for you food) that could be produced from a small plot is tremendous! Cheers! We live off a busy street in West Seattle, with just an alley for a backyard. But the space gets plenty of sunlight, and with some work we've been putting in raised beds for vegetables. Our family of three hopes to grow enough vegetables to eat year-round. I've been inspired to do this after reading Joan Gussow's "This Organic Life." After years of apartment living, without so much as a porch or balcony, my husband and I recently moved into a house. It was too late for a garden this year, but we have plans. We are in the city, on a standard-sized lot, so the yard isn't huge by any standards, but we have already created a large garden plot (in which I planted garlic this week! ), and we have designated various nooks and corners throughout the whole yard to make the most of every bit of space. We would much rather grow food than lawn, and I think it is going to be quite surprising how much a small city lot can sustain. No animals, though, as we are committed vegans. I'd love to read this one. I live in the city - a highrise with no outdoor space (not even a balconey). I live in the wonderful city of Milwaukee and I dream of having chickens and dairy goats. I have what I call a kitchen garden, two 4x4 boxes next to the house where they can get a bit of city sunlight. i live in the city. we don't have any animals because we rent but we have some herbs in pots. I live in the burbs. We have 2 raised bed gardens, but my darling hubby will not allow chickens since he's convinced our dogs will eat them. someday! I live in a rural area and we grow quite a bit of our own food. No critters 'cause I'm a vegetarian. However, in another life I raised poultry, hogs and cattle for meat to eat. I helped kill and dress. Didn't like it but at least I knew the animals were raised and killed with respect and gratitude. We live in what was recently country but is now mostly suburbs, thus there are a lot of larger tracts of land out here. We have an acre on which we raise chickens for eggs (we just got 18 more chicks) and all manner of veg, herbs, and flowers. This year I think I'm going to add bees and jerusalem artichokes. We recently added oranges and some more figs. We have two full grown pecans and a half dead pear tree which sometimes gives us pears. In the past we've raised meat birds but I find them difficult to kill so we're out sourcing that for the moment. We might add meat rabbits as we find those easier to kill. We grow our own vegies, raspberries and pears and live in the north end of Seattle. Would love to share this book, Farm City, with my sister-in-law, who grows tons of vegies and has chickens. I live within the Sacramento city limits, in a suburban area just outside of downtown, and I ride my bike into downtown every day! I try to grow my own food in a community garden plot, but I wasn't very successful this year. I also have a fig tree, but the fruit is taking its time ripening. And I'm hoping that the city will allow chickens soon, so I can have fresh eggs. I'd love to win the book! I live in the burbs. Although I live in Portland which is a major city, I live on the outskirts of it. I have a tiny bit of property which allows me to have my garden in many places.I have no animals but could if I wanted to. The whole "killing them" thing is what stops me. I love reading books about this subject! I live in a condo with a little balcony so I do a bit of container gardening. Results have been mixed but mostly on the poorer side. I live in the 'burbs, and I grow a few herbs. I usually try to grow a dwarf tomato plant every year, and end up with exactly one tiny tomato. I don't raise animals, and I'm not sure I would have any even if I had the space. (I'm a vegan.) But I am interested in reading about other people doing that. I live in the Seattle southern Burb of Burien- not really a suburb but an extension of Seattle- I have a few fruit trees and a garden and a plot in the local p-patch. Turning my home into a farm... does that mean Romeo is Cattle??? Oh right- he is a working farm dog- herds squirrels and rats. Ok lets turn Rancho Pink Flamingo into Flamingo Farms!!! I live in what is called a "city" but is really more suburban. We don't have large lots, though because it's a built up area.Most homes are attached to others. I live in an apartment complex and have a balcony that allows me to grow some food. I am working on ways to make the most use of the space possible (large set of shelves, use all of the space on the ledge, etc). No way to raise animals here but eventually I'd like to have a small house with lots of land for gardening and chickens. Am considering getting a garden plot in the community garden. I live in the outer edge of the city, in Portland, OR. We have a large garden, huge compost pile, worm bin, and have been debating on getting chickens. I live on a farm that has been in my husband's family since the late 1800's. I have a huge year round garden, bees, and chickens. In the Spring I will have a couple hogs and Nigerian goats...I live only a few hours from Oakland. I live in town (~130,000)within biking distance of downtown. We grow a lot of food on our 9000 SQ FT yard including veggies, 10 fruit trees, 3 kinds of raspberries, blackberries, currents and strawberries. We travel to much to keep chickens but plenty of neighbors have them and I know I heard a goat the other night while walking home! I am loving this book which I've checked out from the library so much. If I win it'll be a Christmas gift for a friend. I live in... a town. It's kind of like the 'burbs, but without immediate, uh, urbs. It's a college town in South Dakota. Yay. I live in an apartment, and don't actually grow anything or keep any animals. They're both things I want to do eventually, and the gardening is something I will be doing, soon! We live in the country and have our own chickens, one milk cow, a mule for pulling the wagon, and we grow as much food as we can. I live in the city in an apartment, I fill my patio with containers, hang more from the railing and have a 2x8 ft plot that I grow veggies in. I grow lots of herbs, was able to dry enough mint this year to have mint tea for years to come. I used to live in Merced and moved back to San Diego (mostly due to the air pollution in Merced) and I have an area that I would like to move and develop into a mini farm for me and my daughter. This would be a wonderful book to add to my collection of gardening and home farm books. I have had this book recommended to me but have not yet read it from the library. We live in the city, just north of Seattle. I have an 8x6ish garden plot in the front yard. And this year will be harvesting from the gigantic walnut tree that towers over us. We don't have any livestock. I live in a small rural town. But, I recently moved from Des Moines, and while not a huge metropolitan, it definitely had inner-city food problems. I live in Quartz Hill in North L. A. Co. on an acre, technically in the city. Our fruit orchard froze back in the early '90s, so we cleared it out, put in a horse support facility and have been raising veggies, horses, chickens, turkeys (once), and sprouts. The horses supply all my organic compost needs, keep me exercised, and help pass on knowledge, riding and care skills and interest to local children. Would love a copy of this book to help me become more self-sufficient and sustainable. We live in the suburbs. I attempt to grow my own food, but no critters unless I get zoning changed. i'm a renter in a rural area. we have a limited amount of gardening ongoing, but no animals... yet. I live in the city but I volunteer on a local farm (Agricultural Education Center), where I help with the goat herd. I've been midwife to countless goat kids and two calves since I started there two years ago. I also keep a community garden plot there, drink nothing but the raw goat milk and eat the eggs from their chickens; their artisanal cheese is awesome, and I'm learning how to make it! I know everyone is treated well and wholesomely there, so it's a win-win! But I'd sure love a place of my own...I do grow lots of stuff in my timy city garden as well, mostly herbs and salad veggies. And I NEED that book! I'd love to read this book, perhaps it will help in deciding which house to buy since my goal is urban homesteading. I live in a medium-size town. I grow some of my own veggies and fruits, but haven't ventured to animals...our town laws specifically prohibit farm animals! However, I am a vegetarian and would not want to grow an animal for food anyhow. I would enjoy some backyard chickens, though! I live in a small town/suburb of a city. I loved Animal, Vegetable, Miracle and would love to see what this author did in a city home. I live in a small town on a city sized lot and grow fruit and veggies. I have 4 chickens and I would love to have a mini cow and loads more space but land is scarce due to all the mountains and expensive. I would also love to read this book. I live in the suburbs & grow a little food. Getting with someone that has a yard tomorrow to discuss sharing space so I can start growing more of my own veggies for the first time! Thanks! I live in the city at the moment, VA Beach, but I grew up in the 'burbs. We were the only house I knew that even attempted a veggie garden. I'm not trying to win the book - I already read it, and loved it. I live in the "inner city", but a small city that feels like a bunch of towns that just happen to be very close together - so we have a biggish yard *and* the neighbors don't care about appearances. Chickens, sure! Just don't shoot up the place. Hi this book sounds great ! I live in the woods & have a small garden. Hope to make it more every season & maybe add some chickens & ducks ! I live in the 'burbs and would love to read this book. Small garden this year, but working on expanding next year. Want to plant fruit trees. Get angry at myself that I've lived in this house 11 years and haven't started any fruit trees. Gah. This is one amazing woman. I came across her by coming across her equally amazing sister's blog, now sadly only open to invited guests, but I think anything out of those genes is worth reading! My family and I are trying to grow a good bit of veggies and apples in our yard, but we need a little help. Please add me to the draw. This sounds right up my allety. I'm in the close-in suburbs of our nation's capital, older, rather conservative neighborhood, not much land. I want to garden and have chickens. Not sure if I can convince my husband (and neighbors) of the benefits of chickens. So far we're CSA-ing and contemplating le jardin. Other projects have priority right now. Could use some inspiration! I'm in the suburbs, right on the outskirts of a city. I'm growing some of my own food (asparagus, currants, raspberries, elderberries and tomatoes) but belong to a CSA in the city as well. I'd love this book! I live in the burbs. I'm across the sound from you in Port Orchard. I have a teeny tiny gardent that my landlord has been nice enough to allow me to grow. I raise an abundant crop of fruit flies in my compost. I live outside of Vail, Colorado, not really the burbs, but not really the country. The deer and the prairie dogs devoured everything I planted last year. So this winter I'm planning building big planter boxes to put on the deck. Hopefully the deer won't come up on the deck, if they do the dogs will have something to say about it. I would love to have chickens but we have lots of coyotes up here and that wouldn't be a good scenario for the chickens.